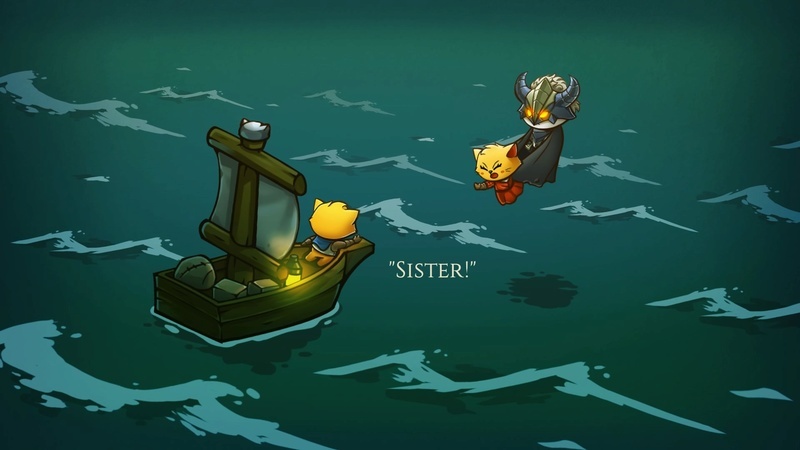 The game begins with you and your sister on a nice little boat ride at sea until this masked villain comes along steals your sister, teleports her to some unknown location, and when you try to reach out to her the masked villain blows up your ship and leaves you for dead. A strange symbol then appears on the back of your head as you drift unconsciously at sea. Once you awaken up on shore you a then greeted by a guardian spirit named Spirry. And quickly learn that dragons have returned. Spirry also notices the strange symbol on your head which turns out to be a mark of the Dragon blood lineage which allows you to learn magic and defeat dragons. Now you go on an adventure to find your sister, beat up some dragons, and get revenge for your boat he wrecked for no reason! Hopefully, I have boat insurance to cover this. He's going to be with you through the end of the game. And that is a no on the boat insurance. It’s an action-adventure game with simple controls so anyone can jump in and have a good time. 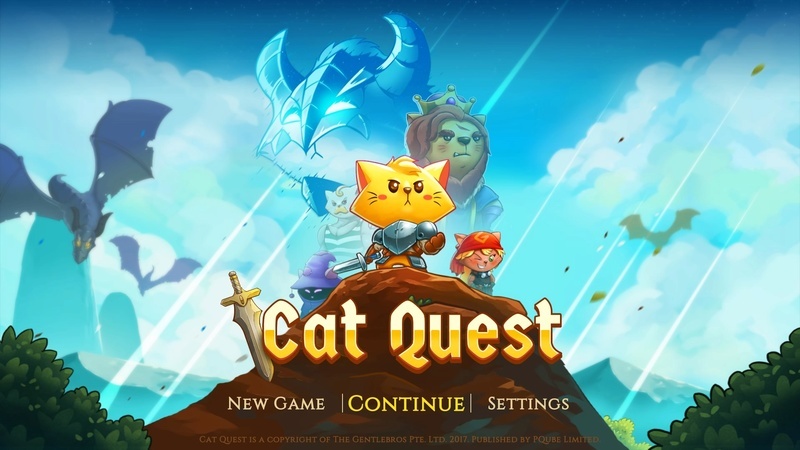 In this game you can only play as the cat which is the Dragonblood lineage toon, this is the character you move around, beat up enemies, and equip for battle. The other character Spirry does all the talking for you and guides you in all the major scenes and including side quest. The guardian spirit cat that loves puns and he will throw in puns in almost every situation. Some of them are quite funny sometimes he’s very annoying. Like this lovely quest for meat lovers. If I don't comply this is what happens. They are not fooling around! When it comes to battling the controls are simplistic and easy get down. Square is for physical attacks when your weapon, the shoulder buttons R1, L1, and so on are for magic spells, X is to do a dodge roll. All of the monsters attacks are telegraphed, so you will always be told when they are going to attack. When you defeat a monster it drops 2 orbs. The blue is for the experience which is needed to level up and become stronger when you level up your stats go up automatically such as health, physical damage, magical damage and magic points and the yellow orbs is for gold. 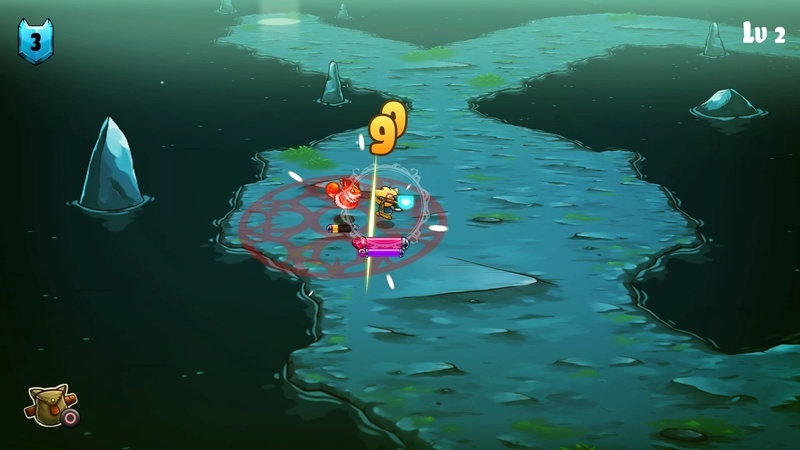 In this game, you do not learn skills or magic spells through leveling up. 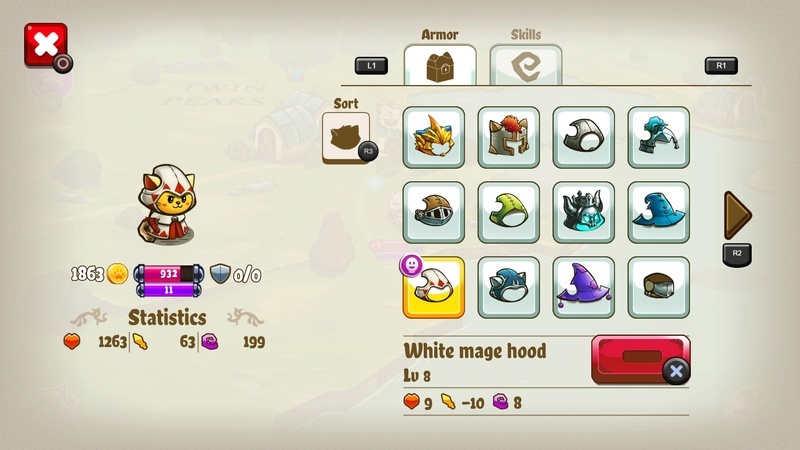 You can only obtain skills from events/quests magic, on the other hand, you get from visiting magic schools and purchase them with gold to learn or upgrade them. Also can be used to purchase equipment from Katt’s shop via treasure boxes, keep in mind it’s completely random what you will get. 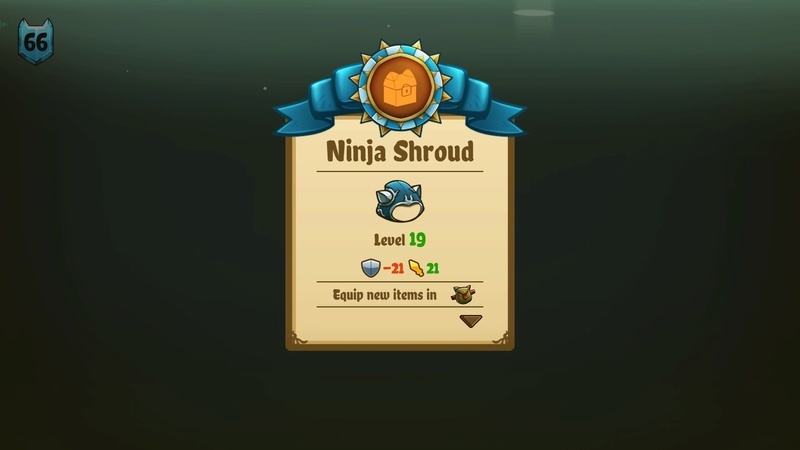 If you manage to get the exact same item as you had before that item will level up and have better stats. This is fighting in this game. Yellow numbers mean effective attacks, red means damage reduction. 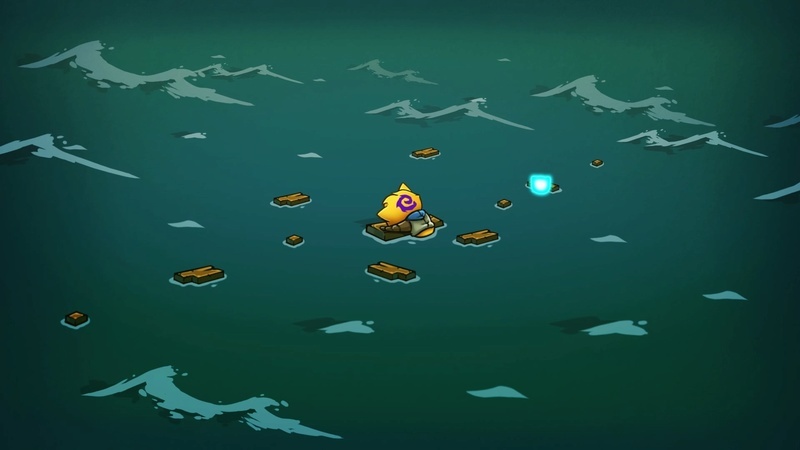 The game gives the player quite a lot of freedom on how to play. For the majority of my time playing the game, I was able to ignore the main story and just exploring the world, talking to NPC’s (Nonplayable characters), diving into dungeons to beat up the residents there and take their loot. Every dungeon has treasure chests so that’s one way of getting new equipment or strengthen ones you already have. 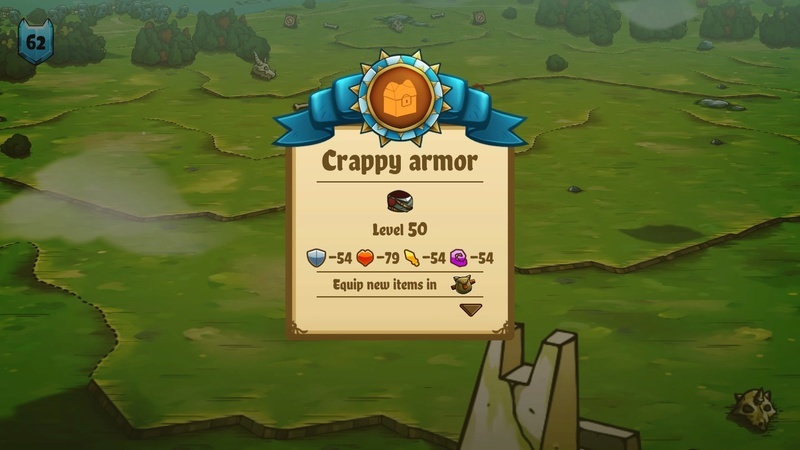 At least it's better than that crappy armor! The quests in this game are done rather well. All side quests have multiple parts to it. You are only given one piece to the story at the start and it’s super easy but if you continue not only does the quest becomes more interesting the difficulty ramps up as well giving the player better rewards. You can only pick up quests from bulletin boards in towns. The team who created this game did quite a good job in terms of graphics. The graphics are very nice to look at, smooth transitions between animations. 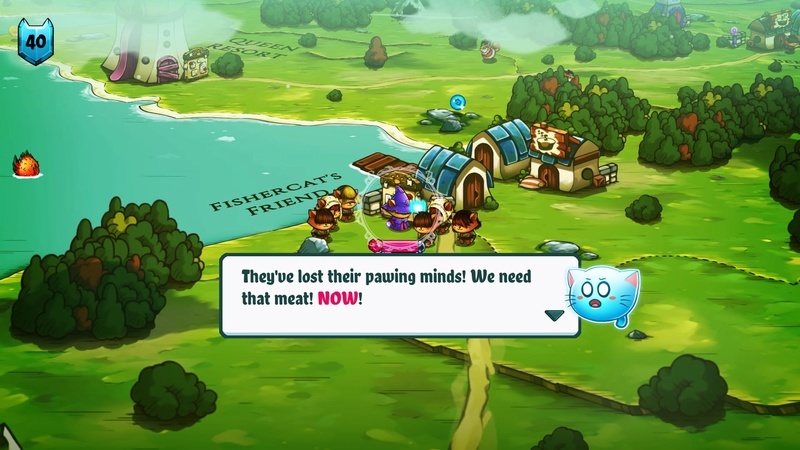 The characters and monsters are drawn rather well with the cute cartoonish look to it. I personally liked the way the equipment looked in the game especially the white mage and black mage outfits from earlier Final Fantasy games. However, the one problem this game does have with its graphics are the dungeons. Those places are dreadfully boring. Almost every single dungeon looks the same style with different floor tile patterns. There is not a lot of variety when it comes to dungeons and you will be going into many of these places. Many looks to pick from. As for the music in this game, the soundtrack is very limited/ they have around five to seven songs in this entire game. The songs fit well for scenes they play in such as discussion events, explaining critical points in the plot, ambush/battle themes and so on. The music is alright but they could have added more music tracks. One can easily get tired listening to the same few songs constantly. 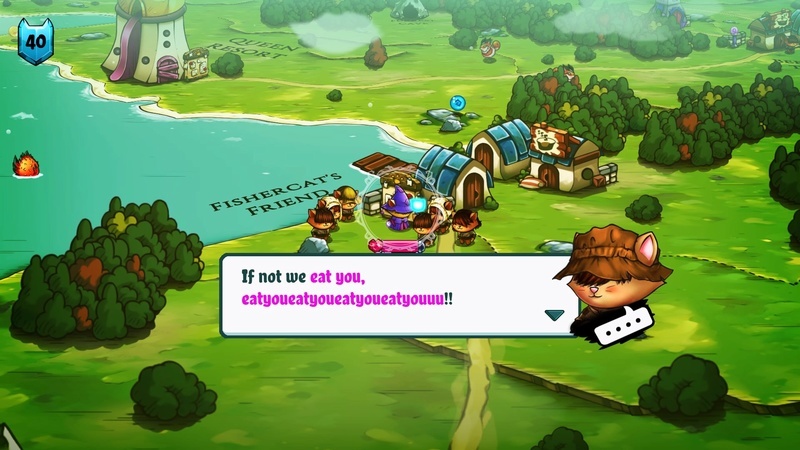 Cat quest is an easy pickup and play action adventure game that any age can enjoy. The gameplay is fun, the controls are tight and the graphics look fine especially if you like cartoons. The biggest problems which stop this game from having a higher score is the limited soundtrack this game has and how boring the entire dungeons are. My final score is 7/10 Have a Happy Holidays everyone! Thanks for the review and happy holidays!